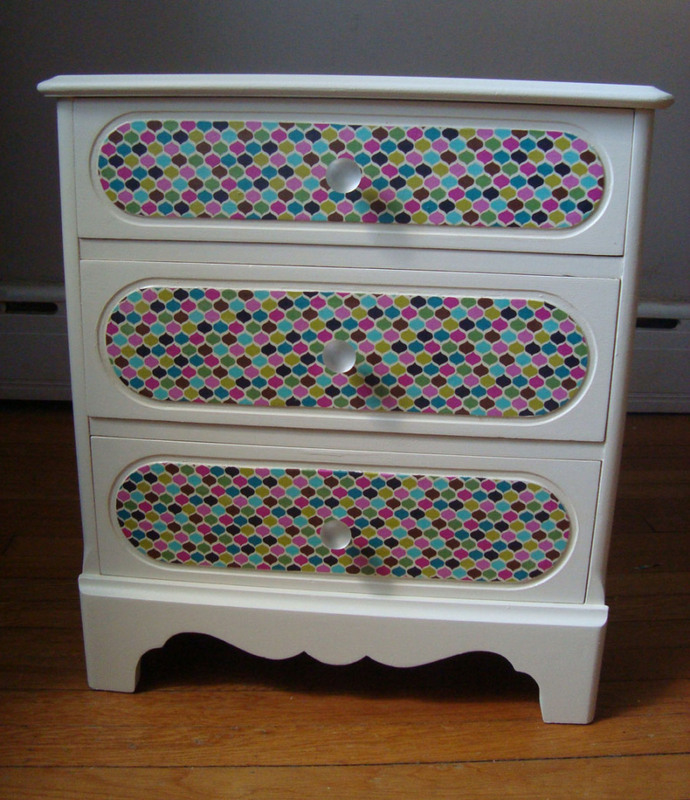 Join me tomorrow on Virginia This Morning where I will demonstrate how to decoupage paper onto furniture. 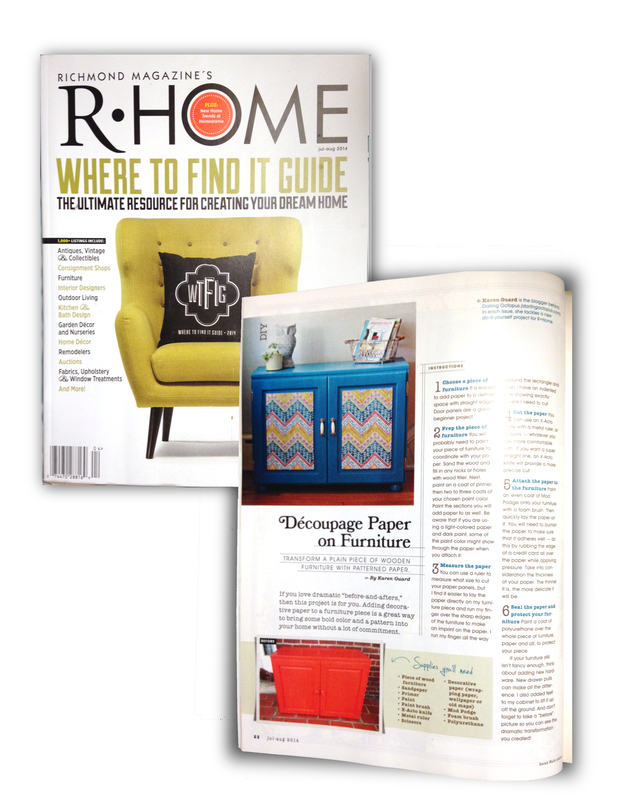 Or check the latest R•Home magazine for step by step instructions. 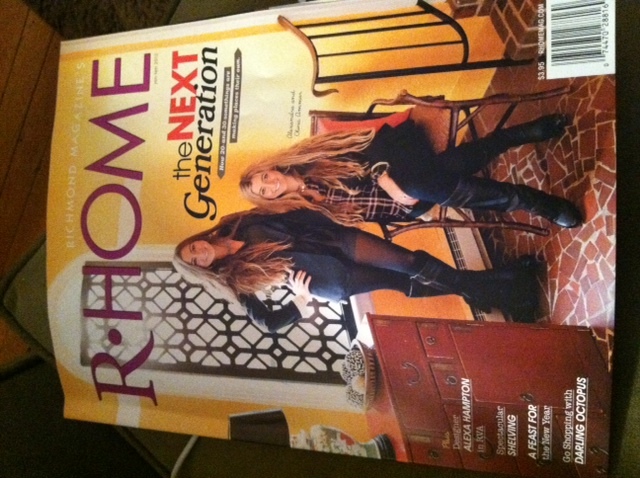 Go out and get the January issue of R•Home magazine! 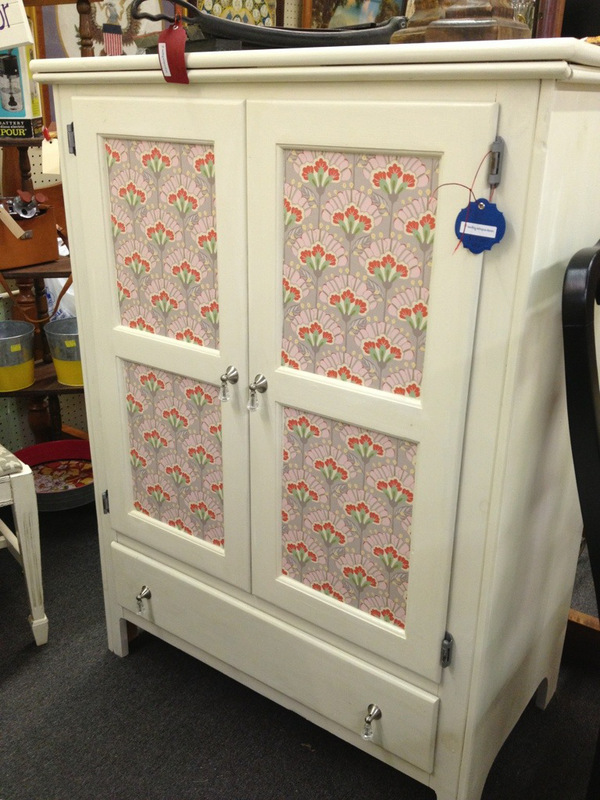 There you can read my article about shopping for vintage furniture and home decor in RVA. There are lots of useful hints and a resource list of some of my favorite shopping spots. I thought it might be fun to elaborate on some of my ideas in the magazine. I found this armoire at the Salvation Army on Midlothian Turnpike but you know you see one of these at every thrift store and yard sale you go to. 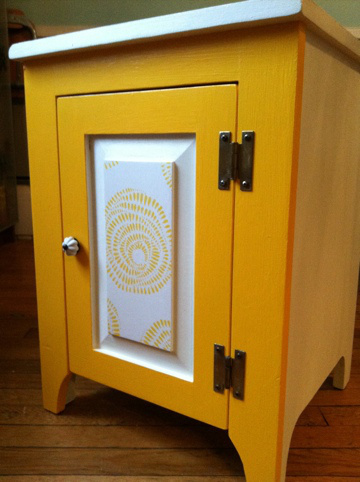 Flat screen TV’s are making them an obsolete piece of furniture but you could always re-purpose them. 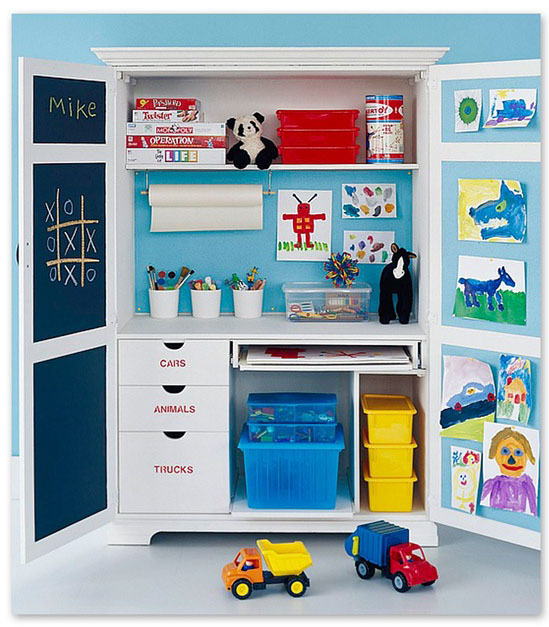 Turn it into a cute home office and just close the doors when you’re done working. Or check out this adorable kids art center! 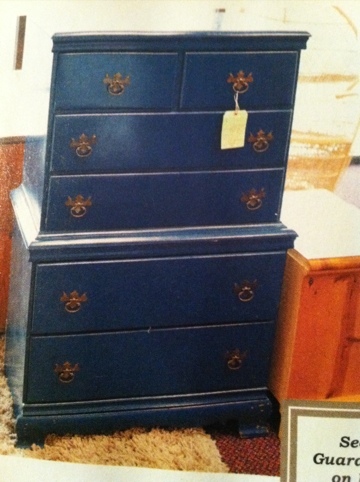 I thought this dresser was almost perfect. I love the shape and the color I would just add some new hardware to make it look a little more modern. 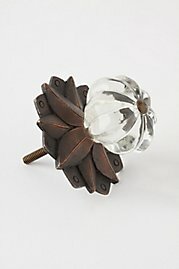 My favorite source for cool drawer pulls is Anthropologie. 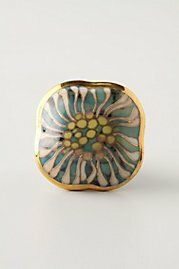 I regularly shop their clearance section – there you will find pulls for as little as $3 each! Below are two picks that I think would look awesome! I am the queen of the chair re-do. 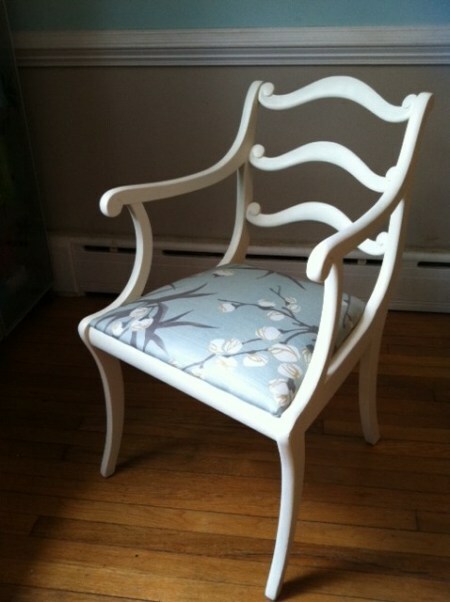 I know I have re-done more chairs than any other piece of furniture. 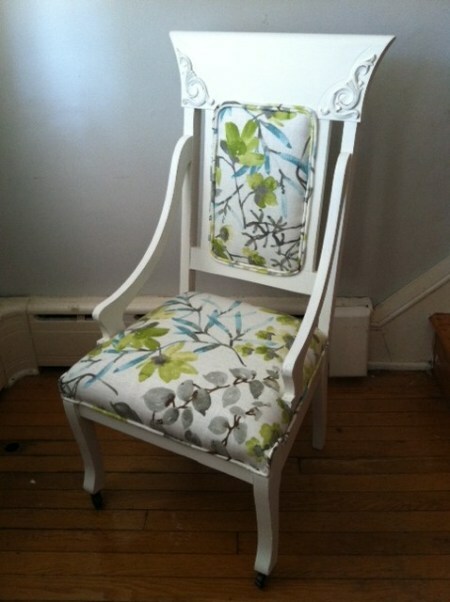 It is hard for me to pass up a chair with good bones because it is usually pretty easy to give it a new look. 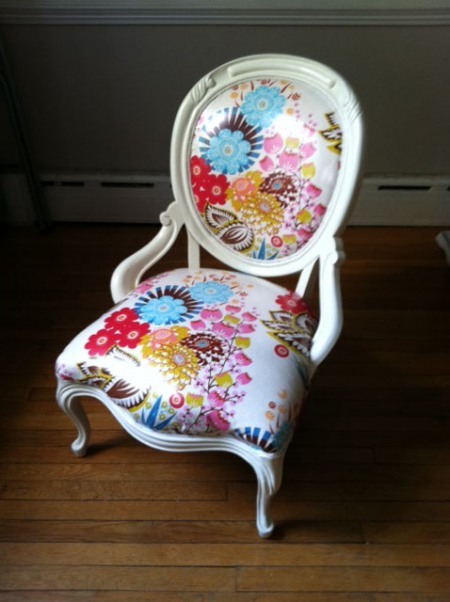 Here are some of my past chair projects that might inspire you. 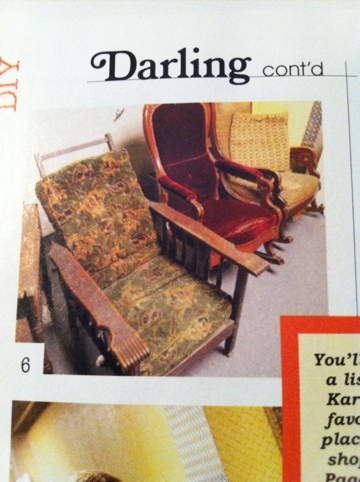 Next issue, I will be showing you how to re-do a chair, step by step, with very detailed directions! Yeah R•Home – Yeah DIY! 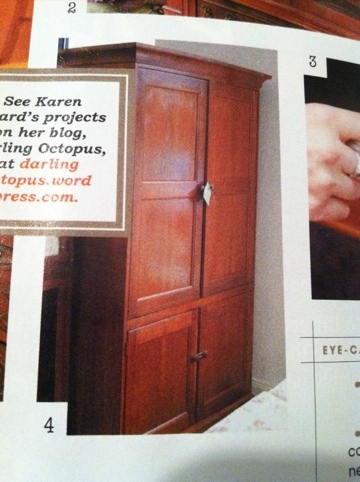 PS – You can read my first R•Home article, all about shopping for vintage furniture, online now!